We all have them in our lives – the hard to buy for guy. He could be your boyfriend, brother, cousin or Dad. Or heck, it could even be your husband. Why is coming up with gift ideas for guys so painfully hard? 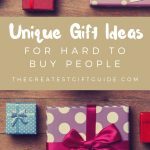 We’re not sure why, but we know many people deal with choosing gifts for the hard to buy for guy. So we felt inspired. We’re going to go out on a limb and giving you some gift inspiration with our guide all about gifts for those hard to buy for guys in your life. We broke it down by different kinds of guys – Dad, husband (these gift ideas work for boyfriends too) and the really hard to buy for guy – the one who seems to have everything. 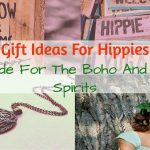 We hope you love our gift inspiration – we found some unique and awesome gift ideas. 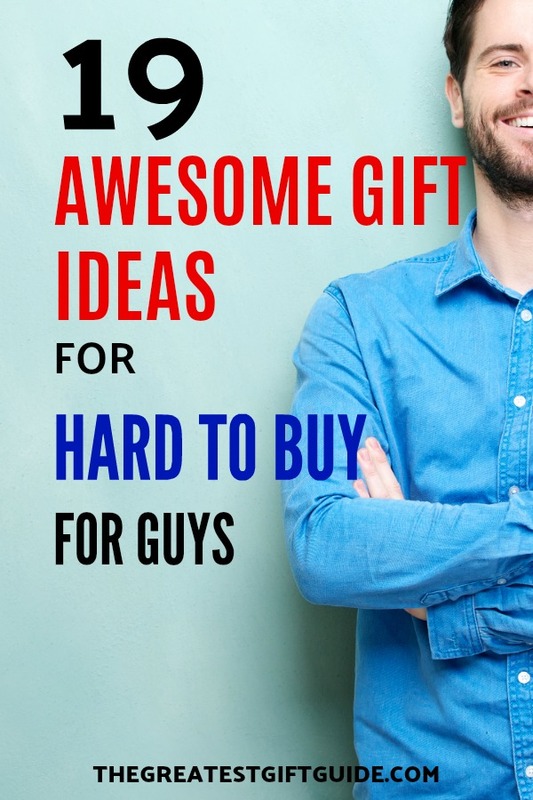 These gift ideas work for most guys in general. Whether they’re you’re boyfriend or your best guy pal. Have a guy in your life that loves to keep his beard in order? Does he spend as much time taming his beard tresses as most women do getting ready? Well, why not help keep him groomed? 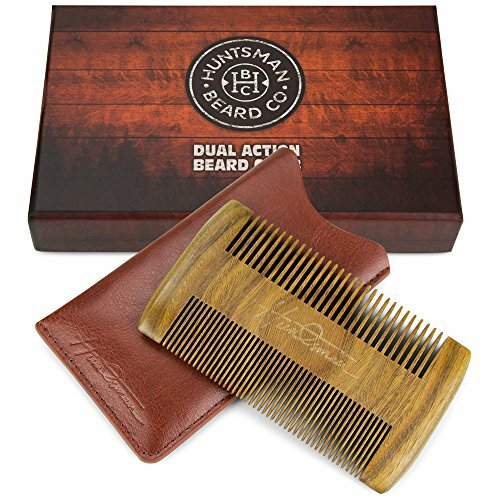 The hard to buy for guy who has a beard he wears proudly will love to open his gift and find this dual action beard comb. Brushing his beard will never be the same. 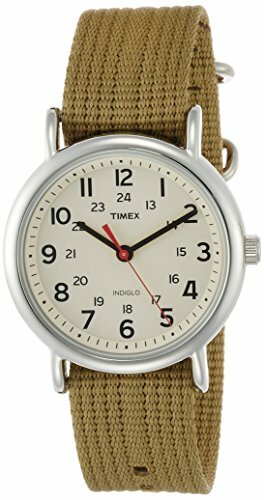 Yes, we are suggesting a watch because, to be completely honest, you cannot go wrong with getting this watch for any hard to buy for guy. It’s guaranteed to please – it’s fancier than a really casual or sports watch, but not so over the top that he doesn’t ever want to wear. It comes in multiple colors, so you can get one he’ll love and it has a classic look fitting into most guy’s styles. Does the Hard to buy for Guy love to Travel? One of the best gifts for the hard to buy for guy, especially if he’s always jetting off to a new destination. 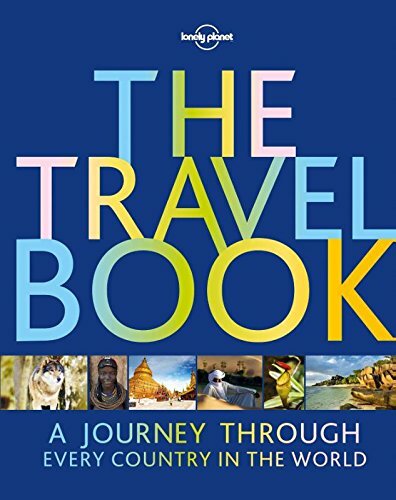 This book is a guided journey through every single country in our world. So if your hard to buy for guy is always looking for some travel inspiration, this is the gift idea for him. How About A Betta Tank? There is almost no way the hard to buy for guy you’re shopping for has a betta tank. 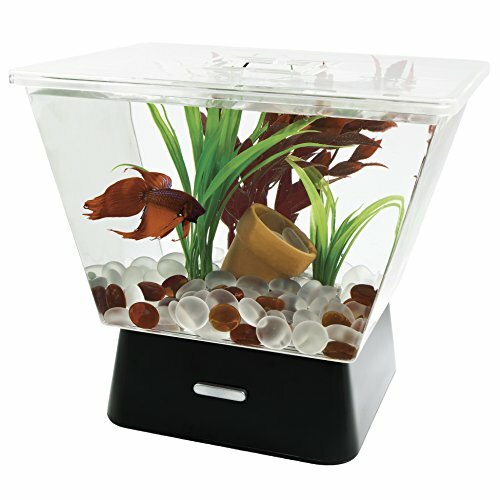 But if he’s a bit of a minimalist and doesn’t want to keep a dog, then a unique fish tank is a perfect gift. Another good thing? This is one of those gifts for the hard to buy for guy that will be completely unexpected. This gift idea also stays on budget – coming in under $20. Have A Guy Who Camps Or Hikes? If the outdoor life calls his name, your hard to buy for guy will LOVE this camping hammock. Does he love to portage? Always getting away hiking and camping? If nature is his game this gift idea will be a hit. 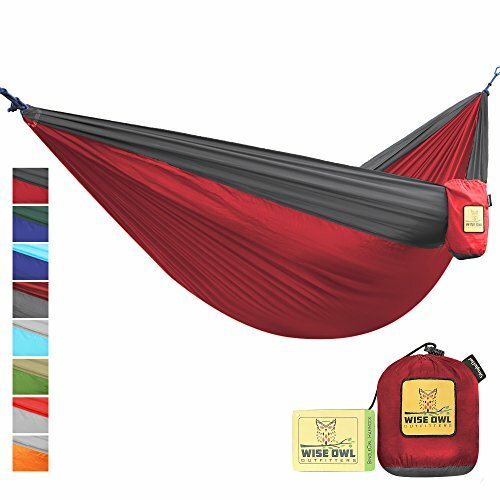 Lightweight and easy to pack – this hammock gets your guy much closer to nature than a typical tent. Check out the other colors here. Have A Beer Lover On Your Hands? What is the worst thing that can happen to a guy who loves beer? Warm beer. Enough said – it just can’t happen. 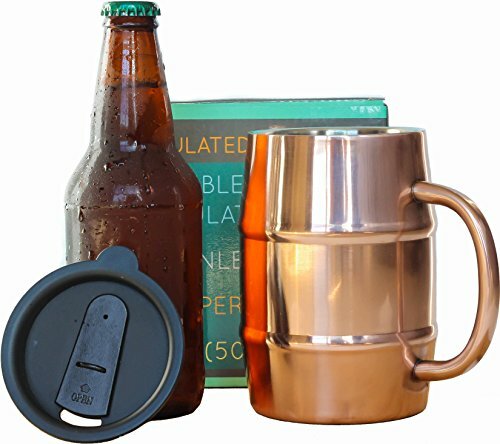 If the hard to buy for guy loves to chill and drink beer then this insulated beer mug is one of the best gifts you can get him. Help him keep his beer ice cold. The mug can be used at home, camping or at the next party he goes to. Stay Warm and Listen to Music? This is one of the best gifts for the hard to buy for guy! 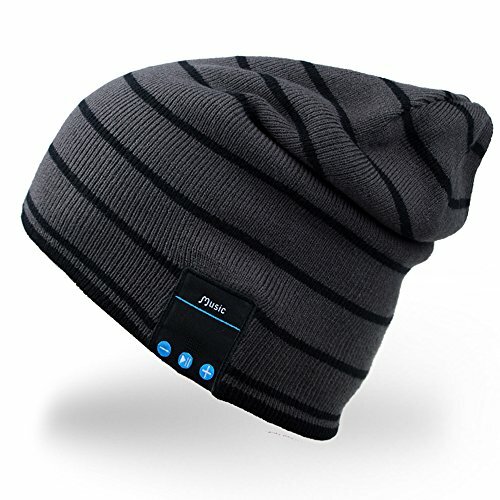 It doesn’t matter what his relationship to you is – any guy will LOVE to receive this stylish hat featuring a Bluetooth wireless speaker so he can listen to tunes on the go. 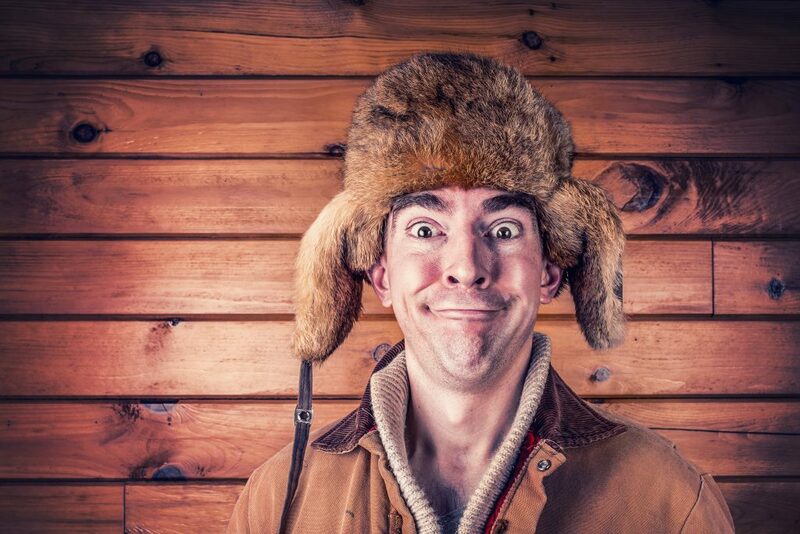 If he has to deal with harsh winter weather then this hat will be a hit with him. Continuing on our theme of music – if your hard to buy for guy doesn’t have a portable Bluetooth speaker yet, then your search for a gift idea is over. We’ve never met a guy who wouldn’t appreciate receiving a speaker that he can hook his devices up to. If he’s on the go or loves to be the life of the party this is the gift for him. Ah, yes the hard to buy for Dad. He’s definitely the guy in your life that might just be the hardest to buy for. He never needs or wants anything no matter what time of the year it is. But he’s not fooling us – the following gift inspiration is chosen with the ultimate hard to buy for guy in mind. 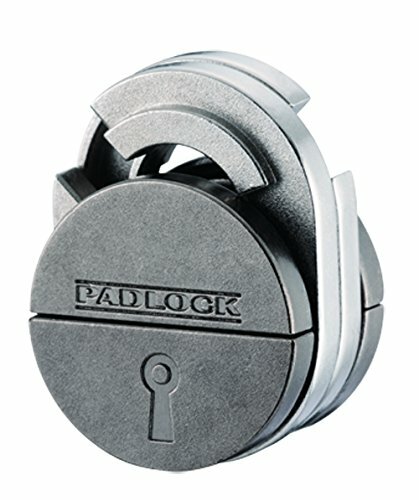 What Dad doesn’t love to solve something? He’s been doing it since he became a father and he certainly isn’t stopping now. Give Dad the gift to keep his brain going. Perfect for his leisure time or when he actually gets some time to himself. 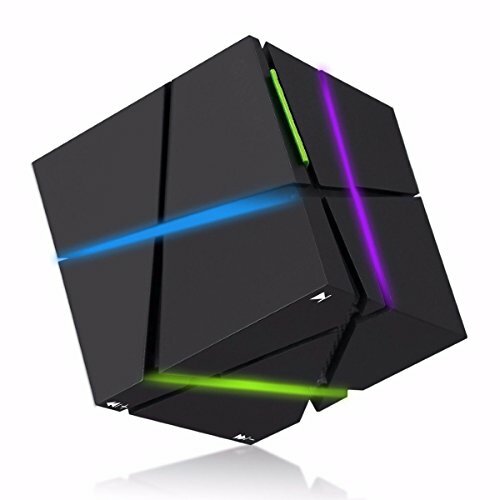 The perfect gift if Dad loves logic and brain teaser puzzles. A Handy Gadget for the Handyman Dad? 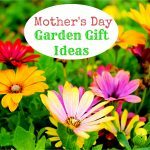 If your Dad is a handyman always DIYing everything around the house then we just saved him a lot of hassle by making this gift suggestion. 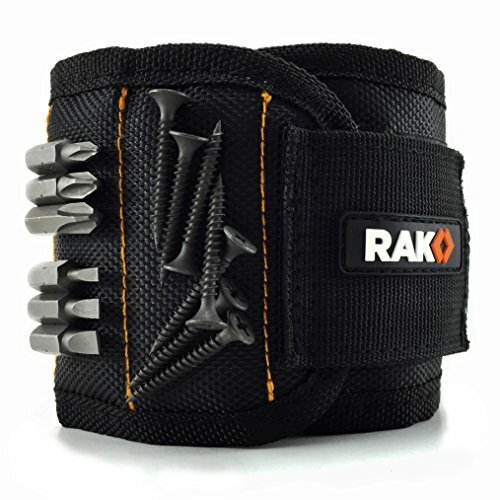 The magnetic wristband actually holds nails, screws and anything else that will stick. So instead of having to stop what he’s doing to get the right screw, Dad will have it already on his wrist. He can keep balancing on the ladder in that really awkward way and get his latest job done. Is Dad a Grill Master Extraordinaire? Of course, we know how silly our question sounds. What Dad isn’t a grill master? 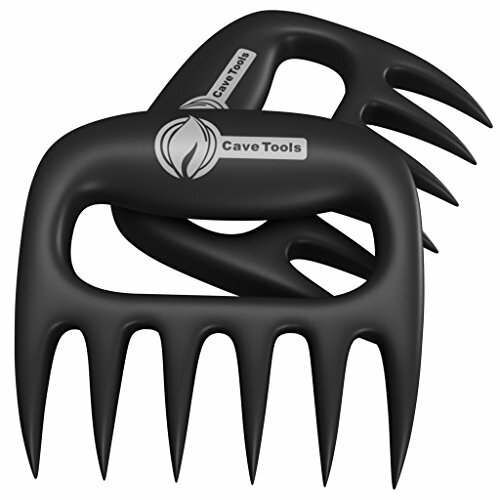 These meat claws are a great addition to his BBQ tools – they shred meat like no one’s business, so Dad can get right to eating his delicious creation. Also good if Dad likes to enjoy a few beers while grilling – he can use them to pick up the meat minimizing the risk of dropping dinner! Is Dad the King of Breakfast? 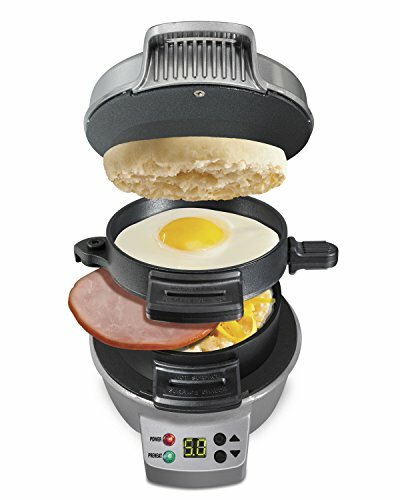 If your hard to buy for Dad loves whipping up breakfast for the family then this is the gift idea for him. Who wouldn’t love to create homemade breakfast sandwiches? It’s so easy to use – pile in the desired ingredients, set the timer and voila Dad has made some masterful sandwiches. 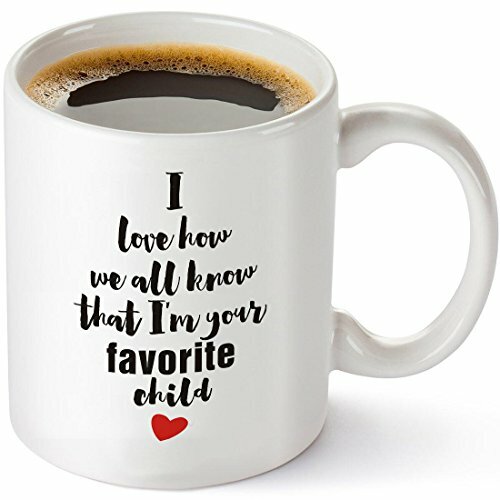 If Dad loves a good joke (and your siblings can handle the truth) you can always pick him up this mug. He will think about you every time he pours himself a cup of hot coffee or tea. Hey, you can’t help it if you’re his favorite child right? Related Read: Gifts for hard to buy people. 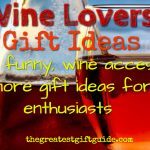 What if you’re looking for gifts for the hard to buy for guy who just so happens to be your husband? Maybe you’ve been together for awhile and it’s getting harder to think of a good gift idea. When it’s your husband’s turn to cook dinner does he draw a blank? Does he want you to think what to have then promises to cook it? 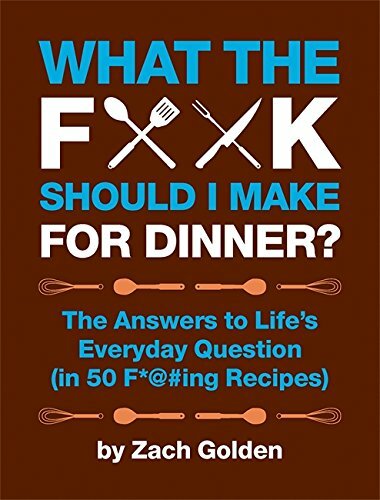 This book is a perfect gift idea for the hard to buy for husband because it solves one of life’s most popular questions – what the heck should I make for dinner? 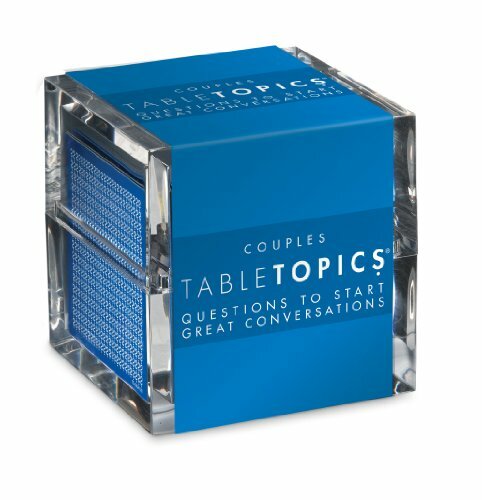 If your hard to buy for guy happens to be your husband then we think you both would love the gift of a great conversation! Some of the best times spent together is when you’re enjoying a good old-fashioned conversation. 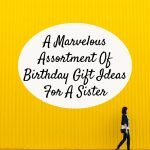 This gift ideas for your husband is really a gift for both of you. We get shopping for gifts for the hard to buy for guy is hard, but the guy who seems to have everything takes it to a whole other level. But, hey, we love a good challenge so we found some really awesome gifts for men who everything (but secretly don’t). 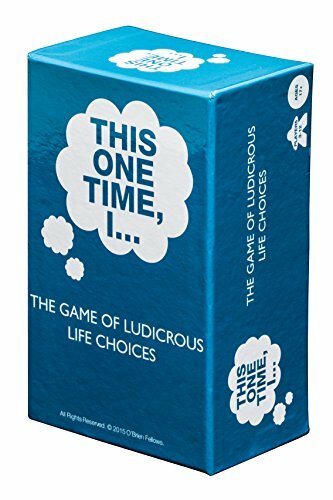 If your guy is the life of whatever gathering he’s at (or thinks he is) then a party game will be a well received gift. You almost can’t go wrong. It’s like giving him the gift of entertaining his friends and creating awesome memories. Check out other funny and really interesting party games here. This is one of the best retro gifts for the hard to buy for guy who loves anything from decades gone past. 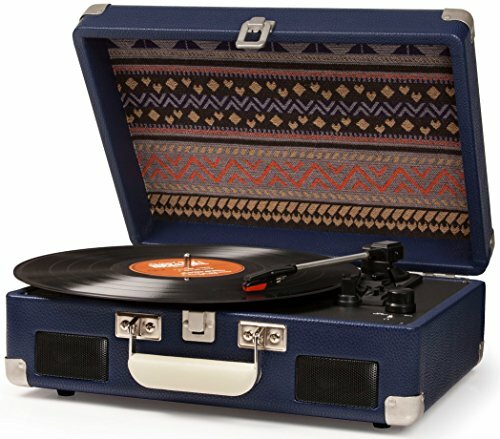 Fashioned in vintage style, this battery operated turntable plays records and is a perfect gift idea for the guy who loves music. We can guarantee it will also be a conversation piece the next time he has people over. This is one of those gifts for the hard to buy for guy that is really kinda geeky. We had to say it. 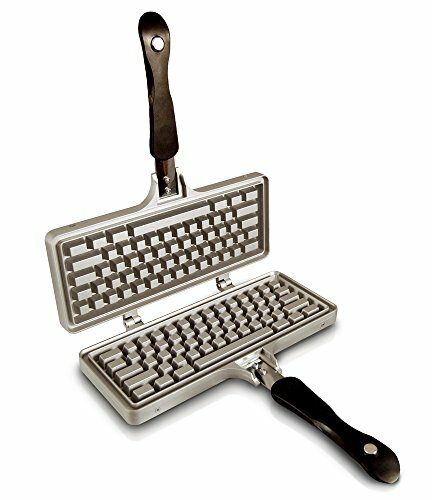 If you have a nerdy guy, then getting him this keyboard waffle iron is sure to make him geek out. Not to mention – this is the kind of guy that thinks typical waffles are SO boring. OK – we admit it – the keyboard shape makes breakfast a tad bit more fun. 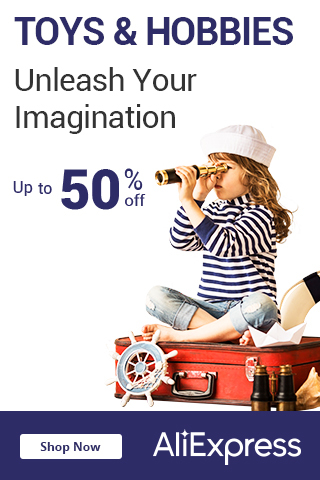 Have a big kid on your hands? 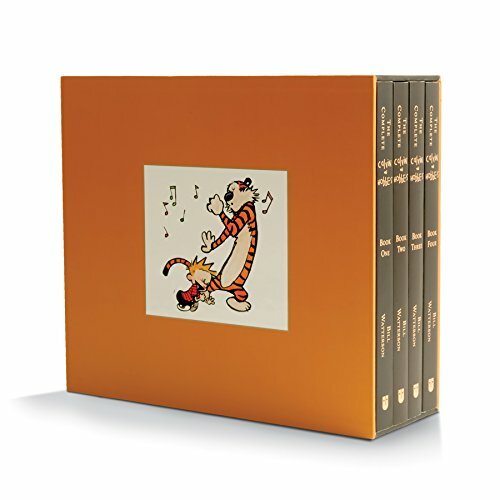 Take him back to his childhood with the complete collection of Calvin & Hobbes. Undoubtedly one of the most popular comic strips ever – Calvin & Hobbes is full of fantasy and life lessons. This special collectors edition is the full series. Any big kid will love receiving it as a gift. Check out other Calvin Hobbes items here. Want more gifts for the hard to buy for guy? Click here. Did you enjoy our guide about gifts for the hard to buy for guy? Share and comment below!